Since having my sweet baby Graham, I've had the opportunity to share a few of my favorite baby items with you on the blog. It’s such a fun new role, and if I love a product, I want to share it with you as well! Having a newborn is extremely hard work. There is not much time for myself. I am giving 110% to my little guy all day long, and by the end of the day, I am totally exhausted. Using the Baby Pixel™ 5.0 Inch Touchscreen Color Video Monitor has given me a little bit of my “me time” back. Whether it’s during the day while Graham naps so I can get laundry done, clean up the house, or just having 30 minutes to watch TV with my husband, it helps me feel more at ease. A big reason for being able to feel at ease while I am not in the same room as the baby is the SleepZone™ Virtual Boundary feature. 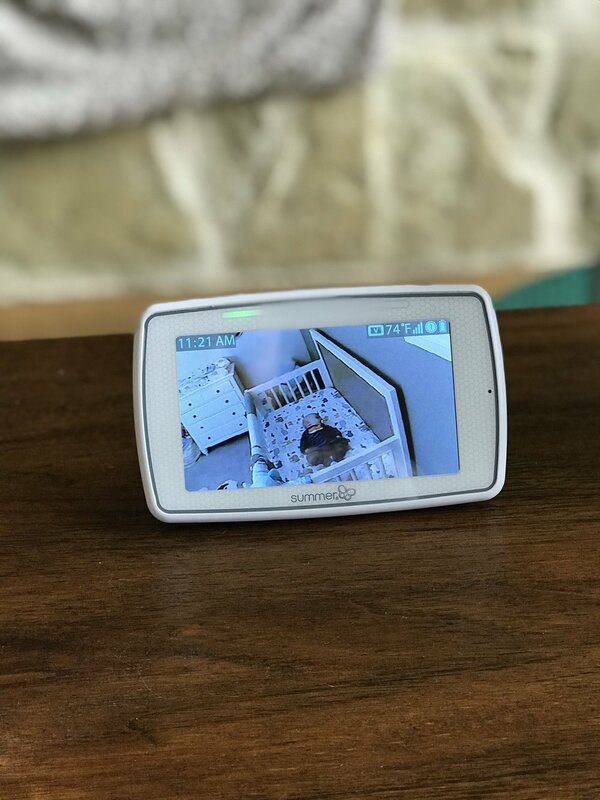 All I have to do is set a virtual boundary around the baby and it senses my baby’s movement and alerts me when the safe boundary is breached. I mean, how cool is that?! I'm also a pretty intense mama bear so the big, clear monitor screen lets me see exactly what's happening in that crib! A few of my favorite features! Please check out this link for your chance to win your own Pixel!